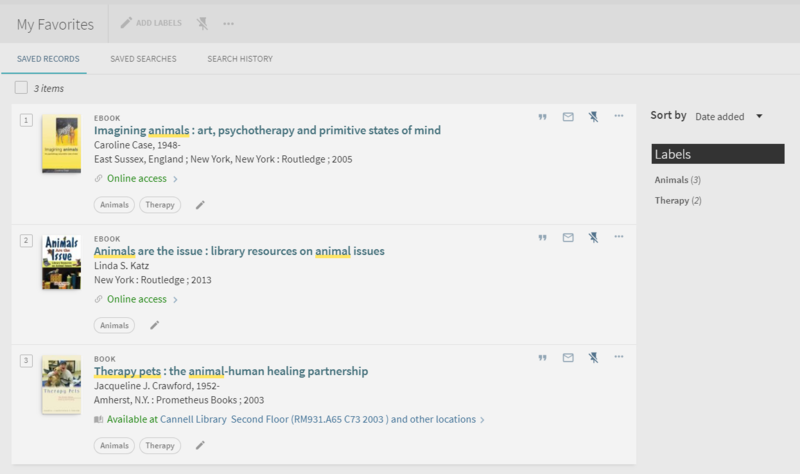 When you sign into your library catalog account, you will be able to keep track of your chosen research sources online with My Favorites. Together with your library catalog account, you can access your My Favorites from any computer or mobile device with internet access. 1. Add relevant resources to My Favorites by clicking on the push pin. Once the push pin is crossed out, the record turns yellow and is saved to My Favorites. 2. 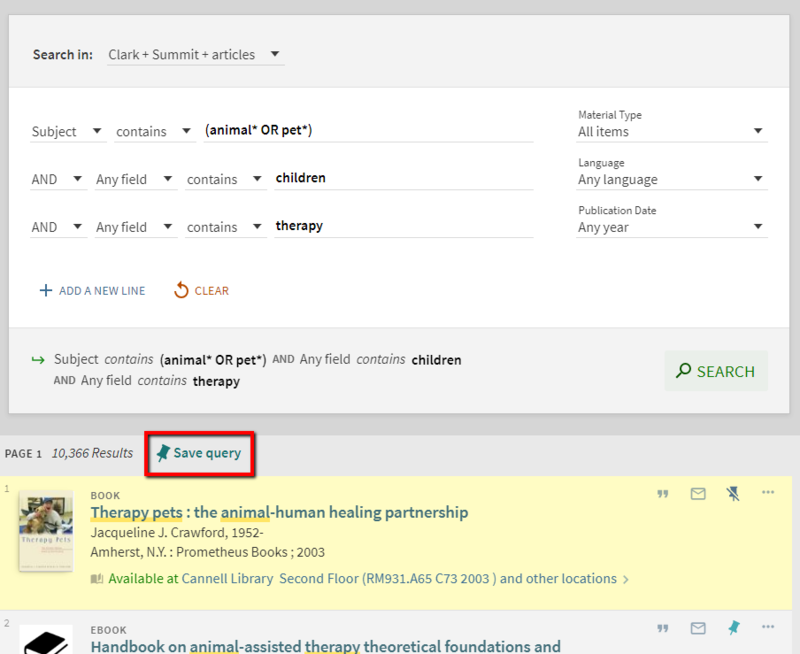 To save an entire search, click Save query at the top of the search results. 3. 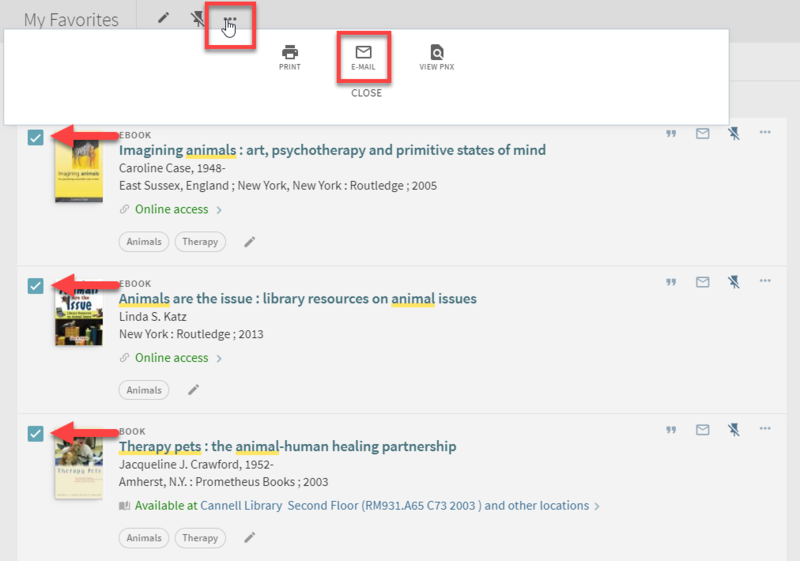 You can check My Favorites to see if your resource or search was added by clicking the "Go to my favorites" push pin icon in the upper right corner of the library catalog screen. 1. In the search results, click on the crossed out push pin icon. 2. In My Favorites, select the check-off box(es) next to the item(s) you wish to delete and then click on the "Unpin selected items" push pin icon. You can email individual records from the Clark College Libraries Catalog to yourself or someone else using the email icon. You can also email multiple or single item records by selecting the check box(es) of items in My Favorites, clicking ... for "Push to" actions, and then selecting the E-mail icon.